This is not the kind of record athletes want to be chasing. A loss at Patriot League rival Lafayette on Saturday would be the 15th straight for the Navy Midshipmen — good enough, so to speak, to tie a team record for futility set during the 1988-89 season. A loss at home to Holy Cross on Feb. 8 would break the record, just in time to prepare for a Feb. 11 showdown at Army, which will air nationally on the CBS Sports Network. 0 – The number of Patriot League wins the Mids (3-18) have in seven tries this season. Possible silver lining — the closest loss came against Lafayette, with the Mids falling 65-63 on Jan. 7 in Annapolis. 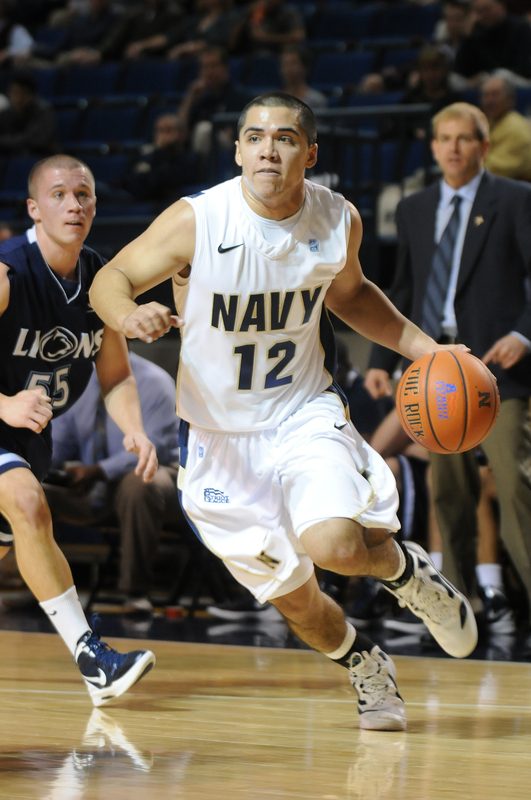 Navy tied Colgate at 52 after regulation Jan. 21, then was outscored 13-2 in overtime. 2 – Navy’s longest win streak of the season. The Mids lost their next four games, then downed Mount St. Mary’s 64-56 on Nov. 27 in Annapolis, then started the current losing streak with a 59-46 loss Nov. 30 at Maryland-Eastern Shore. 3 – The number of teams in NCAA Division I basketball, according to the Navy media relations folks, with longer active losing streaks than the Midshipmen: South Carolina State (15 games), UC Davis (16) and Binghamton (22, dating back to last season). For much of the season, Navy didn’t even have the longest losing streak in the state — Towson racked up an NCAA-record 41 straight losses before a 66-61 win over UNC-Wilmington on Saturday. 16 – The number of points scored by freshman forward Worth Smith during Saturday’s loss to Bucknell — a career high. That performance, plus a seven-point effort in limited action against Lehigh earlier in the week, earned Smith the Patriot League’s rookie of the week honor. He leads the Mids with 13 blocked shots, and his points (9.0 per game) and rebounds (5.9 per game) are tops among freshman in Patriot League play. 329 – Navy’s spot in the official NCAA Ratings Percentage Index, better known to hoops geeks (and everybody else, come March Madness time) as the RPI. 344 – The number of teams listed in the RPI. Nowhere to go but up, almost.